A new labor agreement reached in France requires employers in certain technology and consultancy sectors to take steps to ensure employees are not plugging into work on their free time. France has had a 35-hour workweek for several years, and many believed it was being intruded upon by frequent out of office distractions caused by email and other technology. 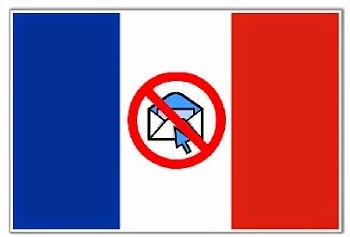 To combat this, French employers in these sectors are required to take steps to make certain that employees completely disconnect outside of their working hours. The invasion of work into personal lives is an international phenomenon, but prohibiting after-hours emails is about as likely in the U.S. as a 35-hour workweek. While the French labor agreement is unlikely to find traction here, we are certain to continue seeing claims for overtime pay by employees who stay connected to work through smartphones and other devices. Employees who are “suffered or permitted to work” are entitled to compensation even when the work is not authorized by the employer. With today’s technology, and the ability to remain at work virtually at all hours, employers need to have policies that clearly spell out the company’s expectations, especially with employees who are not exempt from wage and hour laws. These employees need clear and lawful direction on when working away from the office is authorized and how it needs to be recorded. When an employee violates the policy and performs unauthorized services, disciplinary action may be taken but should not include any docking of pay. In addition to adopting a policy on remote access, employers should review employees’ actual after-hours work practices. Where technology creates problems it often also provides solutions. Because employees are linking into work after hours electronically, it is easier for employers to determine when and what work is being done, and for how long. It is also possible to electronically limit access to email and other resources when access is unnecessary.